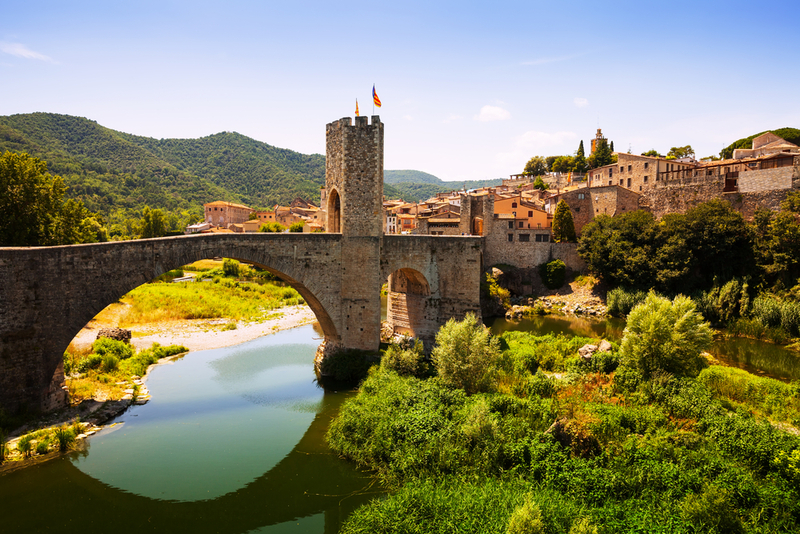 In recent years the property market in the northeast corner of Spain has experienced a resurgence, with investors and property seekers exploring the property offerings in the Costa Brava’s picturesque coastal enclaves and inland medieval towns and villages. So what can you expect to get for your money if you are looking to buy a house in Spain, especially in this region of Catalonia? The first thing a property buyer will look for is appreciation, distance from airports ,and rentability. It’s not all about coastal properties either, as some of the quaint interior villages rent for a premium in the summer months which also makes them a good buy for the investor or expatriate. This area of Catalonia is not cheap; it attracts the more discerning clientele. However, if you look hard enough, you can pick up a wonderful 2- or 3-bedroom villa tucked away among pine trees with a backdrop of mountains just a few moments from the coast for a reasonable price. One of the most popular areas for foreign purchases on the Costa Brava is the charming old town of Begur. It’s walking distance to stunning beaches, has a character and warmth that visitors love, and its pièce de résistance is an ancient castle ripe for exploration. Plus, properties close to here offer really good rental potential. The town is a regular on the festival circuit which ensures that rentability is high for many weeks of the year. Another very popular resort for foreign purchasers on the Costa Brava is Llafranc. This pretty coastal town with old world charm has a beautiful beach, exquisite restaurants and coastal walks, and is family friendly – and more importantly, it’s less than an hour’s drive from Girona Airport. You can invest in a 3-bedroom semi-detached house with sea views or a luxury apartment just 500 metres from the beach. If you are seeking a buy-to-let property in Spain or simply looking to purchase a property for holiday rental on the Costa Brava, these are a few areas that should be considered.